Quick, smooth alternative to an M3. Not well known outside of Alpina enthusiasts. 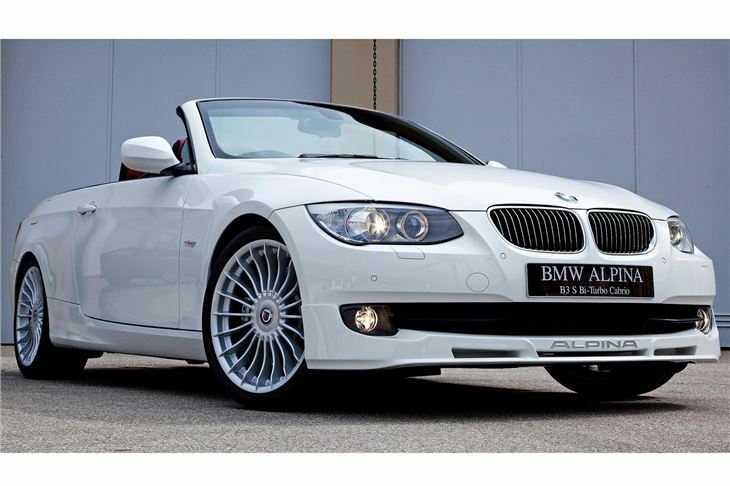 Launched at Geneva Motor Show in March 2010, the new ALPINA B3 S Bi-Turbo became available in the UK from May 2010. Higher levels of output and efficiency make the model's unique edge in this rarefied market sector even sharper. The new B3 S reflects the ALPINA ethos of ultra high performance combined with environmental consciousness. The 3 litre straight six now yields an extraordinary 400hp at 6000 rpm and massive torque – 540 Nm at 4500 rpm. In Coupe form this delivers 0-62 in 4.7 seconds and 186 mph, yet economy is improved (29.1 mpg combined) and CO2emissions lowered to 224 g/km. The B3S is readily identified by a redesigned front spoiler and a new rear diffuser which encloses the tailpipes, reducing lift and ensuring optimum engine cooling. 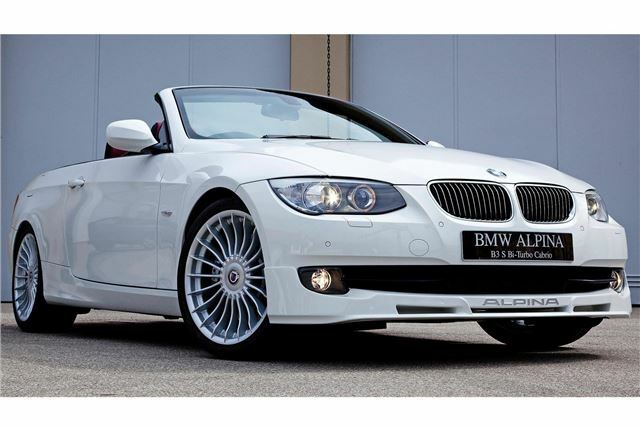 The ALPINA Classic alloy wheels get the new design treatment seen on the latest B7. With switchable six-speed automatic transmission in Saloon, Touring, Coupe and Convertible forms, the B3 S stays faithful to another ALPINA manufacturing edict - that the sporting nature of its cars should not compromise luxury, comfort and everyday usability. First deliveries of the B3 S Bi-Turbo start July 2010 with availability through Sytner, UK concessionaires for ALPINA.